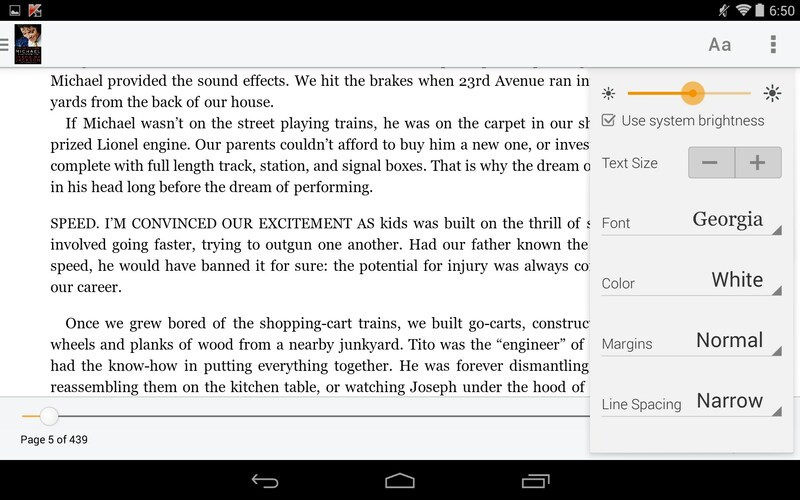 Amazon Kindle – Soft for Android 2018 – Free download. 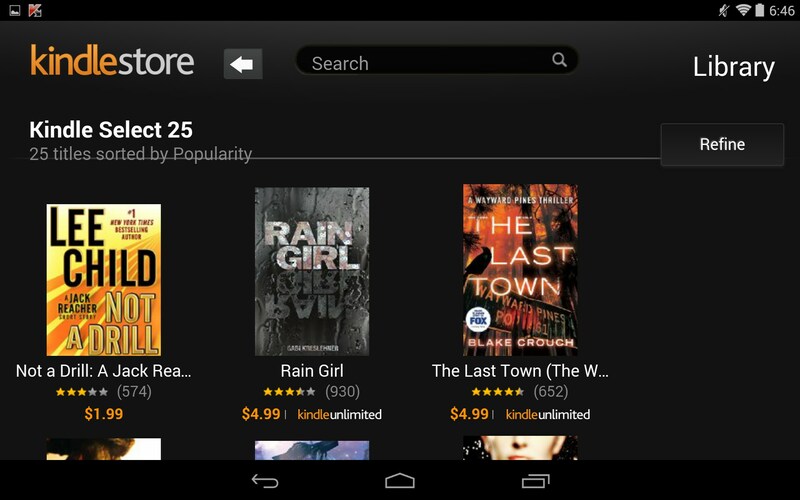 Amazon Kindle – My all-time favorite e-reader. 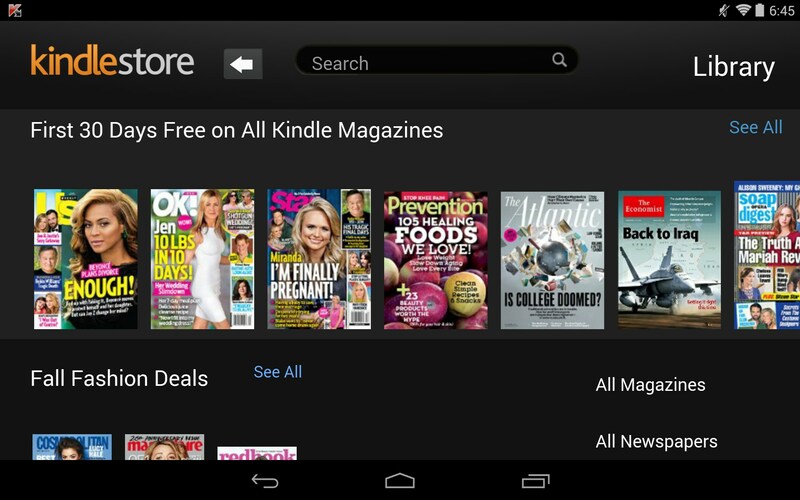 Amazon Kindle for Android brings the world's most popular e-reader to your droid. Some of the best features are missing, but the app syncs all your content across all devices. It's not #1 for nothing. Amazon Kindle is my favorite e-reader, by far. It's Amazon, which right away means an innovative, quality experience. The app has a very modern and stylish look. 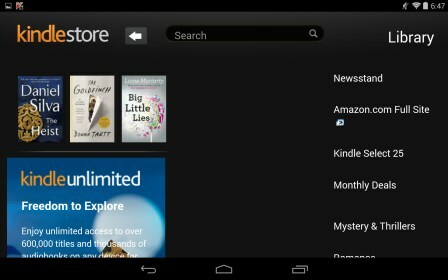 Once you sign into your Amazon account, the app will automatically sync your library and show thumbnails for all your Amazon e-book purchases. You can also email yourself PDF documents for easy access and storage. The reader itself has beautiful controls. 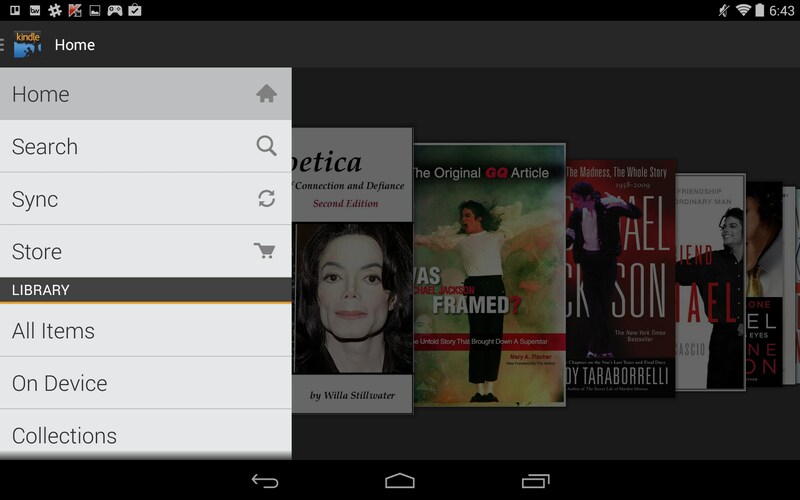 Zooming in and out of text works exceedingly well, and naturally, the app integrates Amazon's bookstore so you can browse and purchase new titles on the fly. Most Kindle books have free samples, usually at least the first chapter or two, so be sure to download and read the samples before buying anything. My all time favorite Kindle feature, Immersive Reading, is not available on this app. That's apparently reserved for branded Kindle e-readers and Amazon's Kindle Fire HDX tablet. The feature will read your books aloud to you and also integrate a host of other capabilities, like x-ray. Once you've become accustom to these add-ons, it's hard to do without. 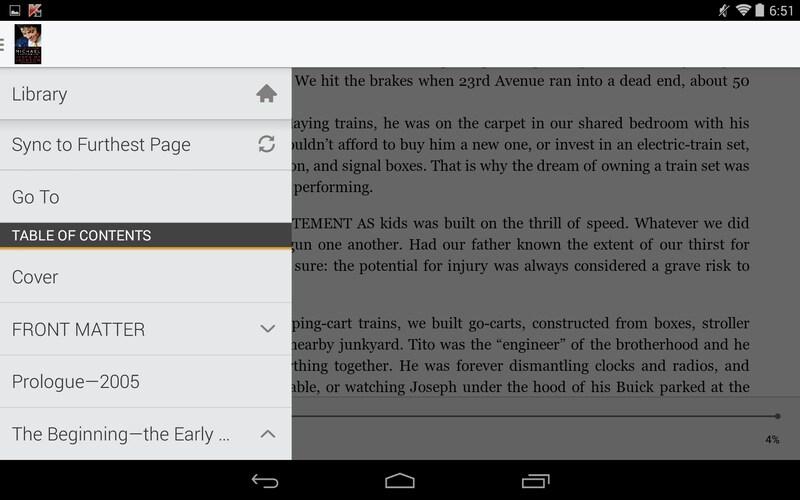 However, this app will sync what you're reading across all your devices. So if you're on page 35 of a book, you can just pick up where you left off, no matter which Kindle app, reader or tablet you're using. Amazon Kindle is the one and only e-reader I use; be it in app or gizmo form. It just functions exceedingly well, and with the backing of Amazon, I know there will always be great deals on virtually anything I want to read.